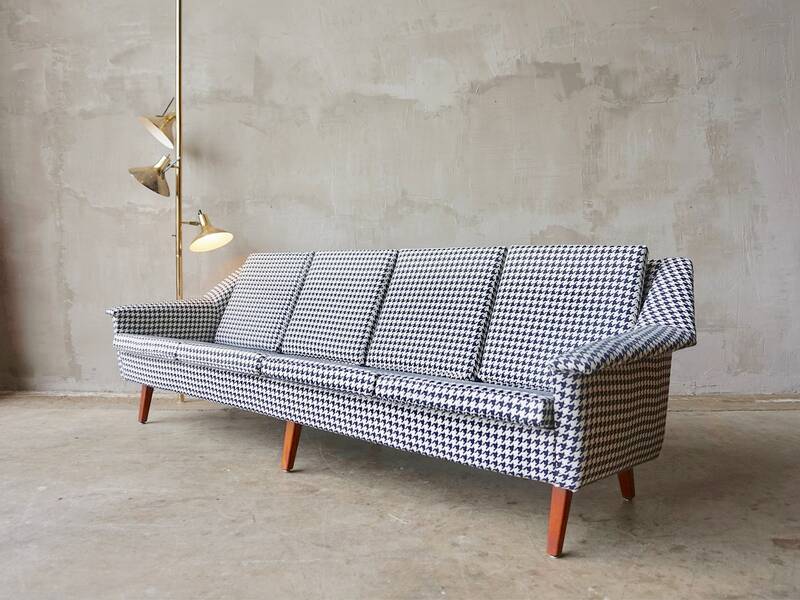 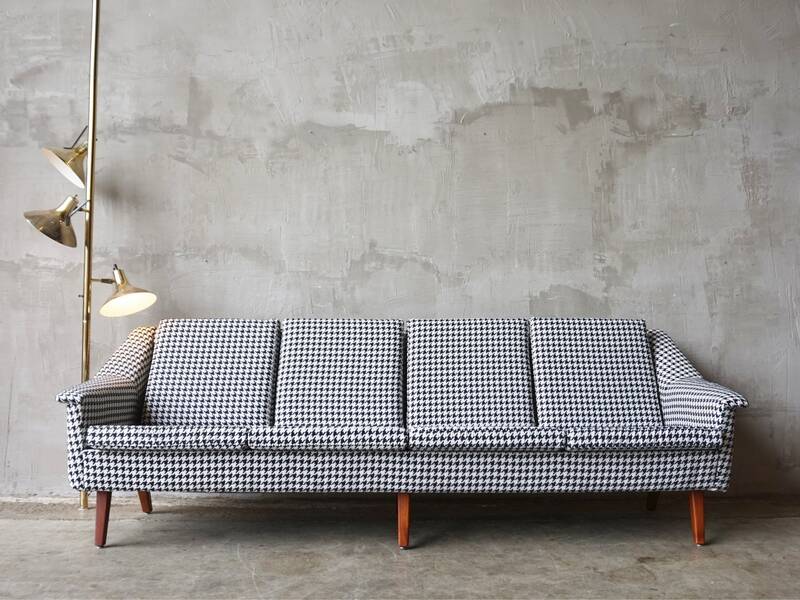 Beautifully designed sofa by DUX of Sweden. 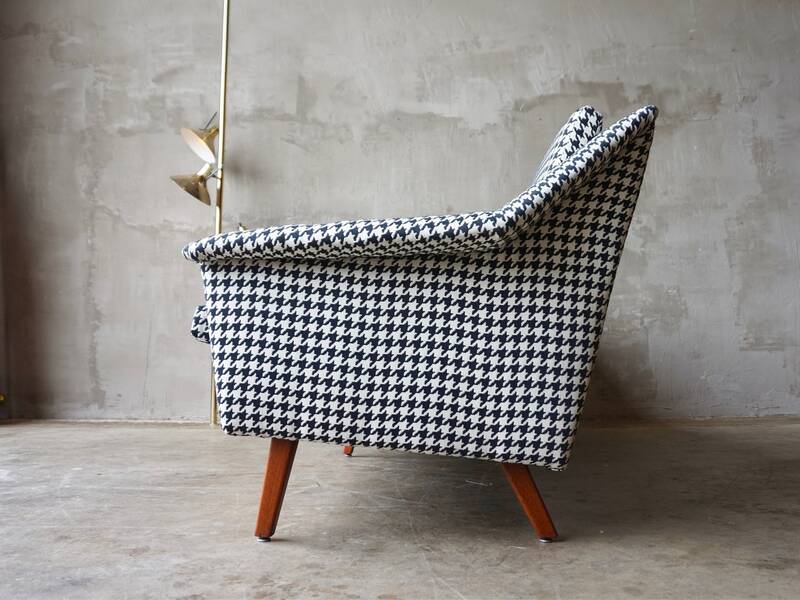 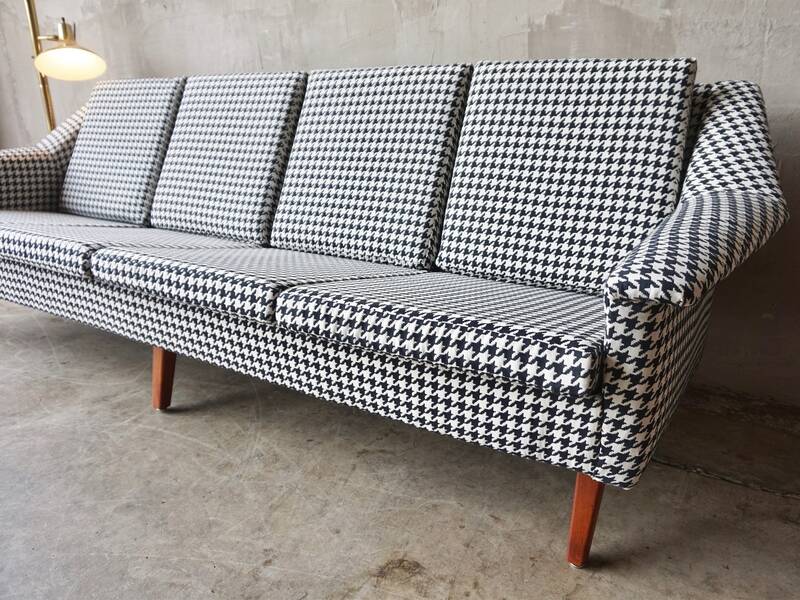 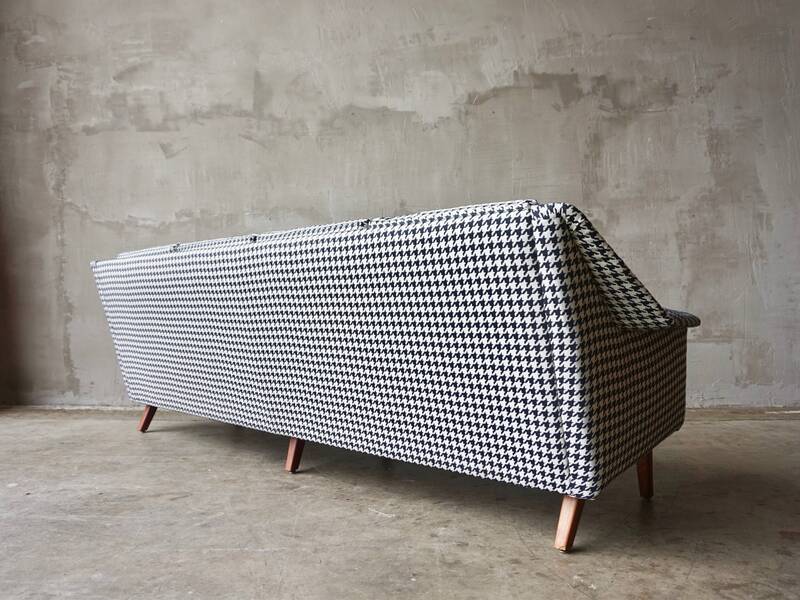 This piece features great angular lines accentuated with houndstooth fabric and warm solid walnut legs. 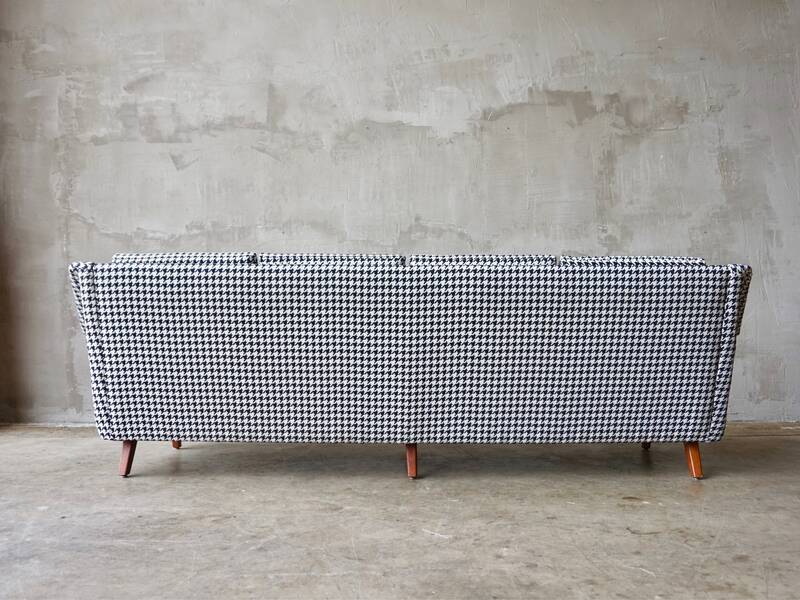 Measures 97”L x 31”H x 31”D.